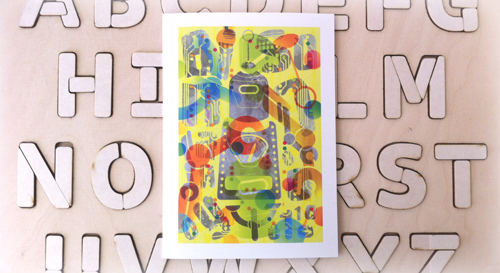 In the Shop: Greeting Cards! Mega-blog of everything awesome, BoingBoing, has featured our pixelated alphabet blocks, Bitblox, on their site!! We’re so honored! We highly recommend their Family section, which they’ve amped up lately. They have book & app reviews, craft & outing suggestions and more family-fun stuff. Like us! We're likable, and we share fun things.